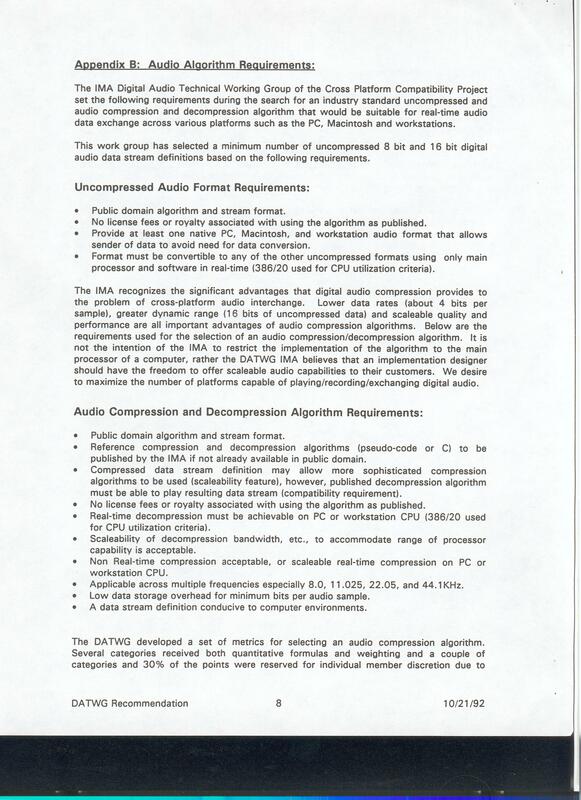 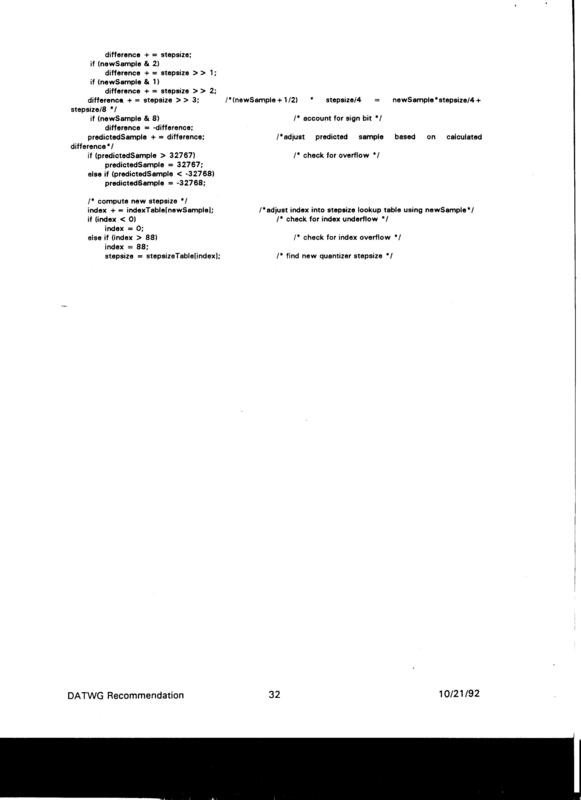 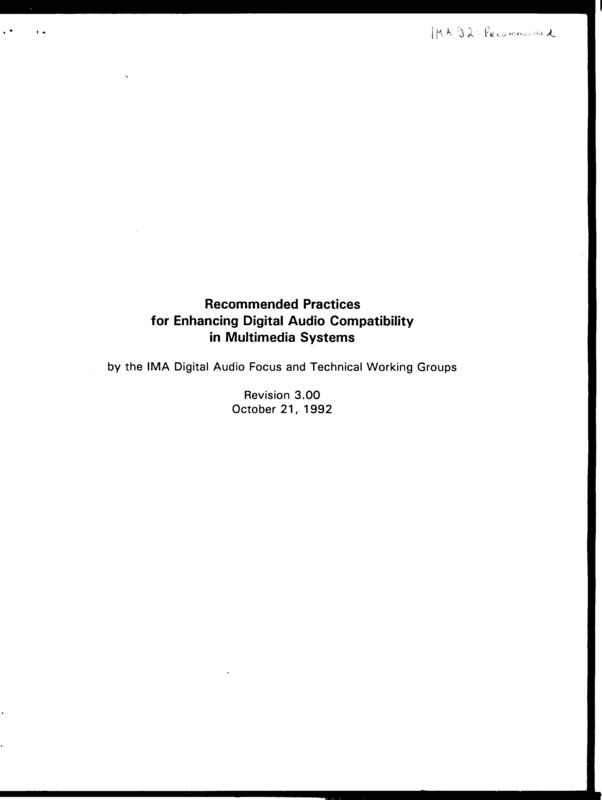 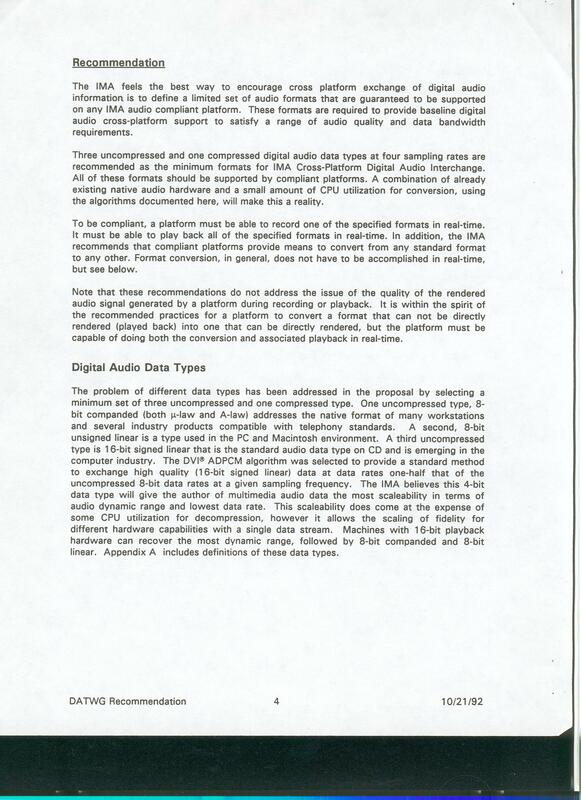 The Interactive Multimedia Association (IMA), an industry association located in Annapolis, Maryland, developed a set of audio algorithms, including a 24 and 32 kb/s audio codec known as ADPCM DVI or just DVI, in the early 1990s. 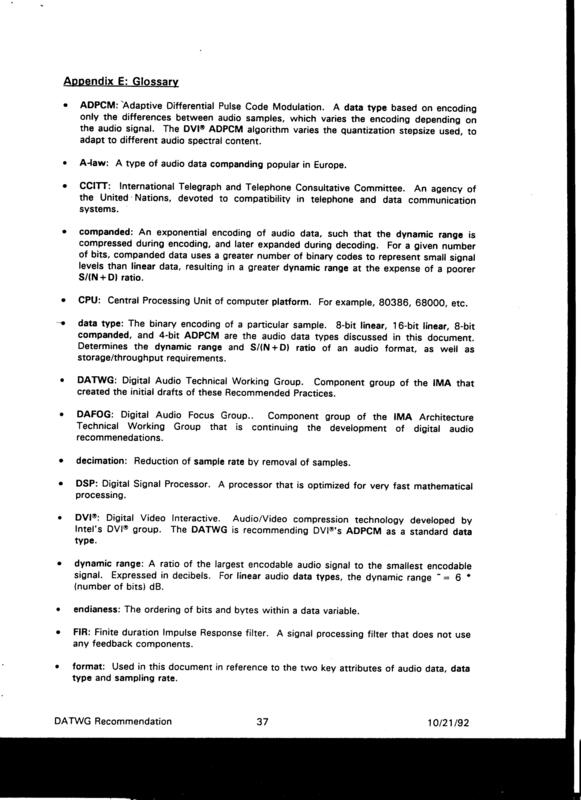 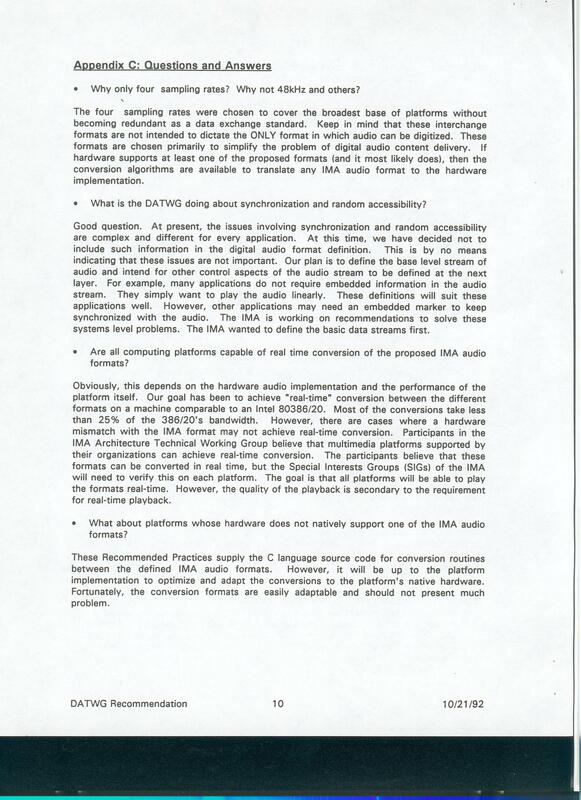 The codec has been implemented in a number of well-known research tools, such as vat, rat and nevot, and is known as IMA ADPCM in the Microsoft Windows sound recorder tool. 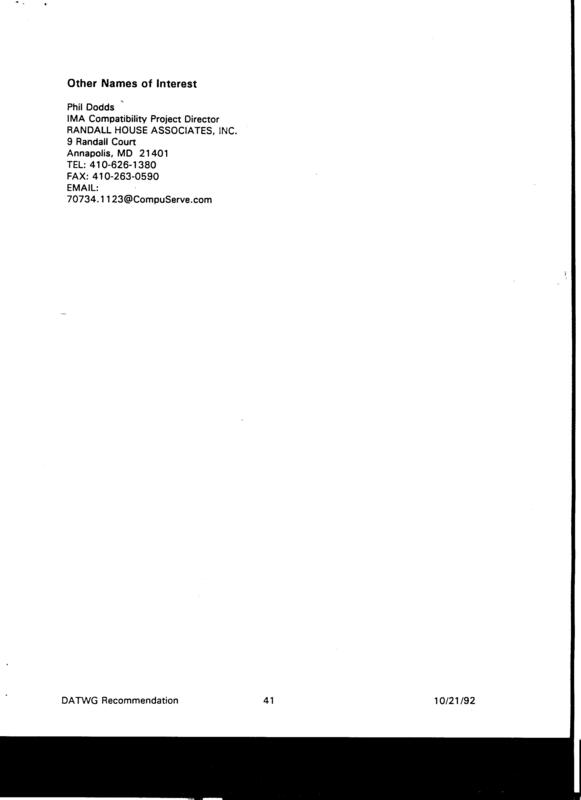 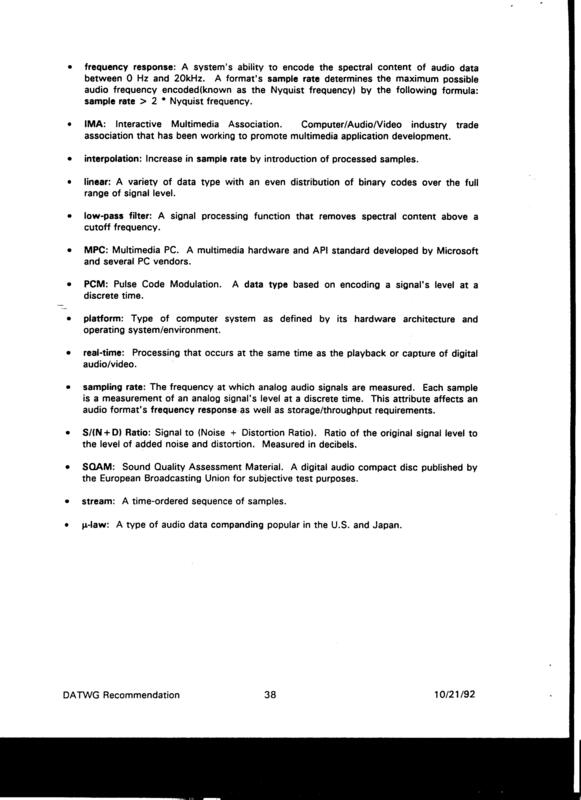 The IMA ceased operations around 1998 and attempts to locate the source document for the specification have not been successful. 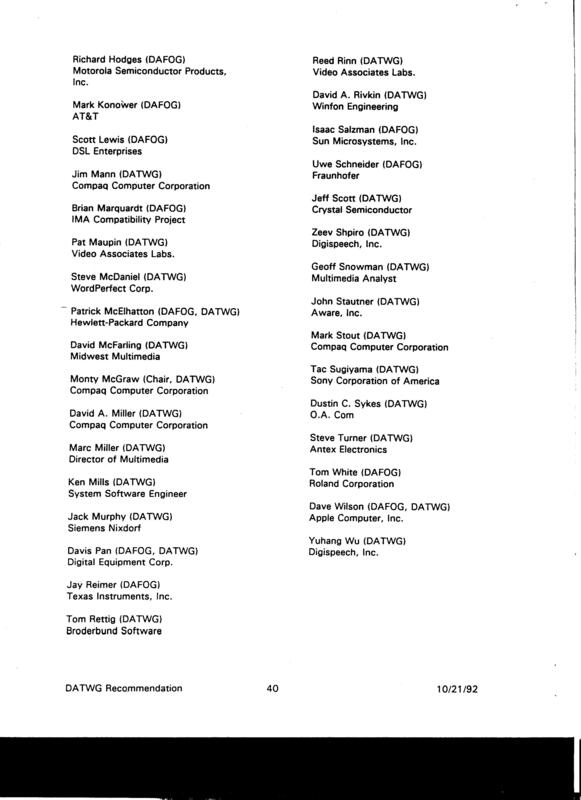 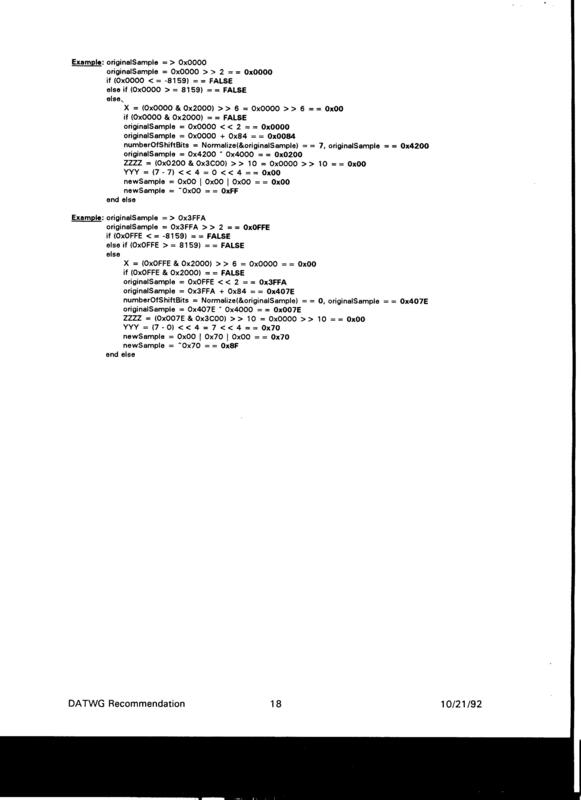 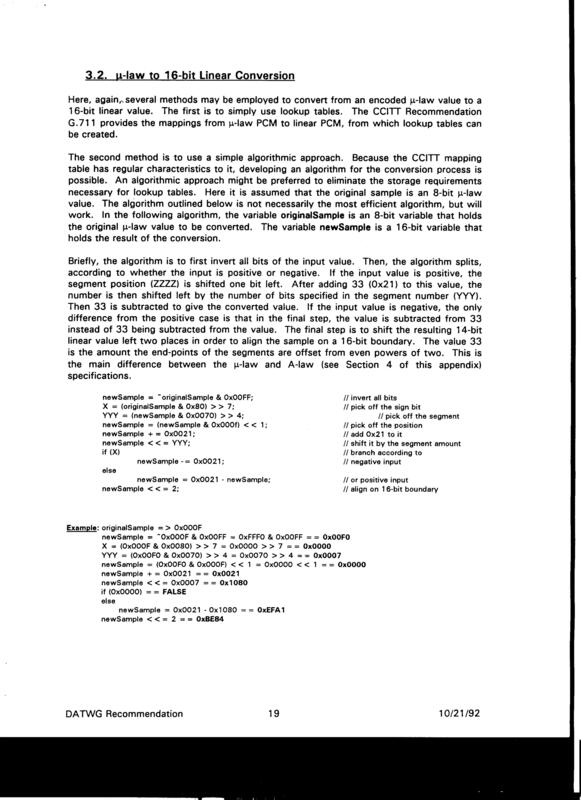 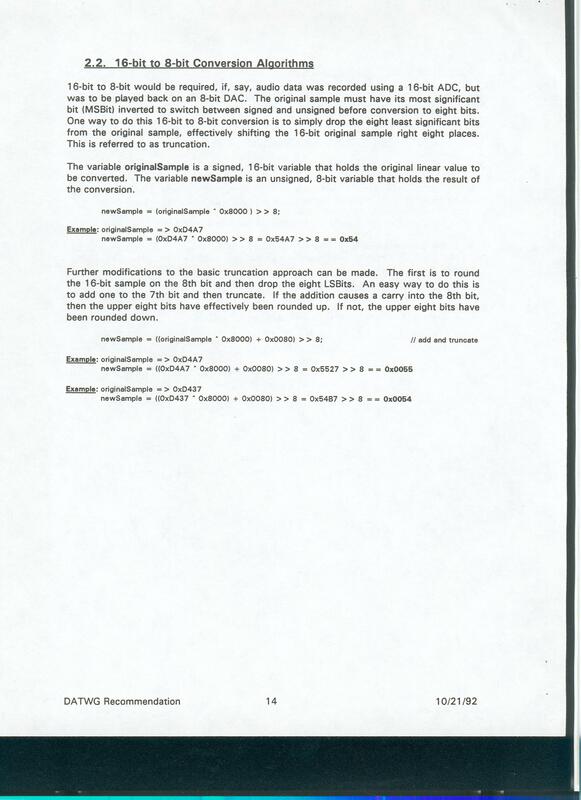 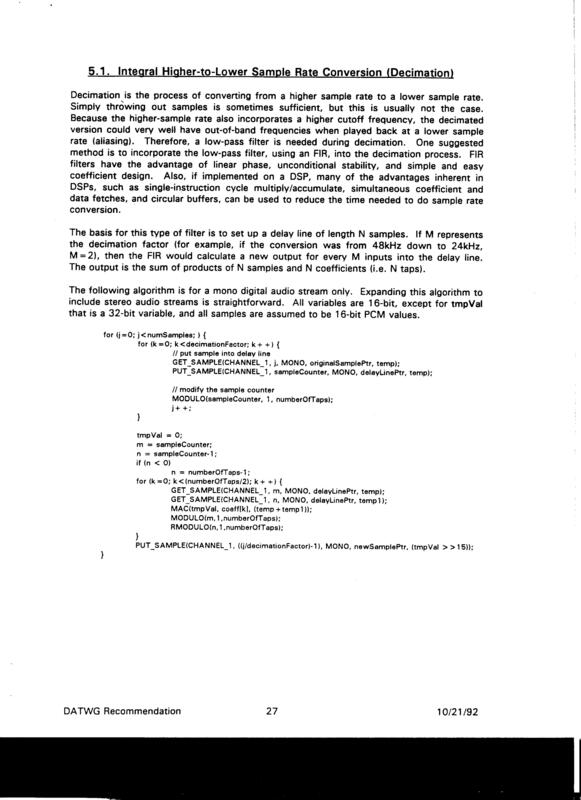 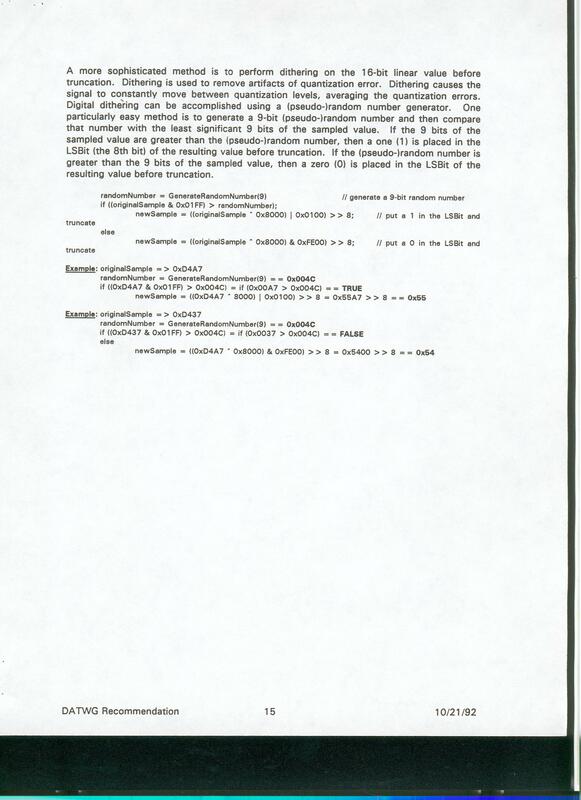 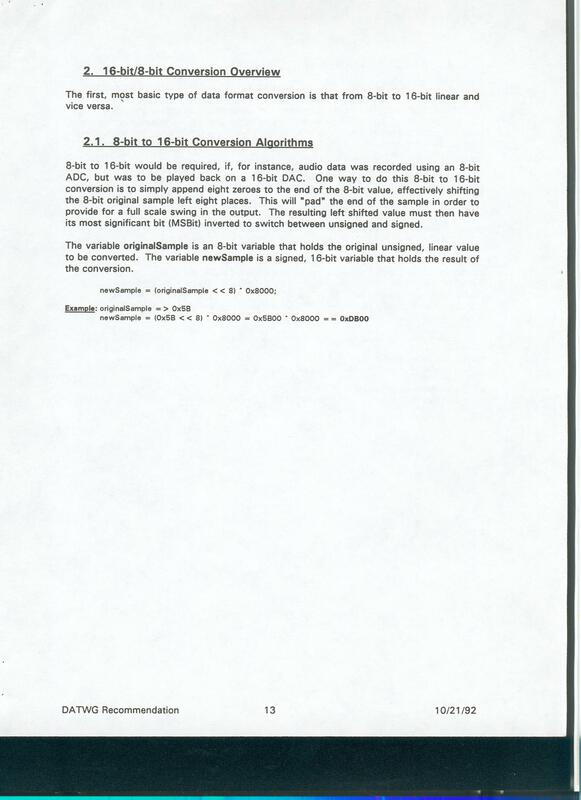 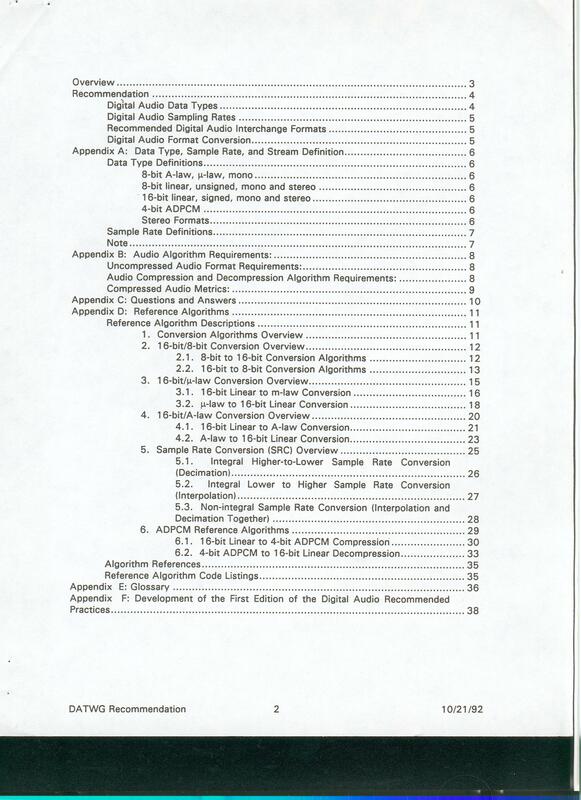 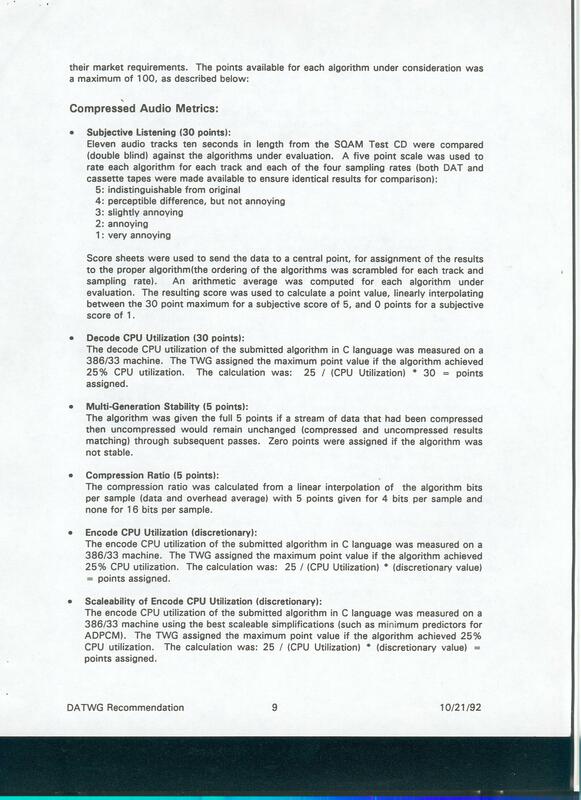 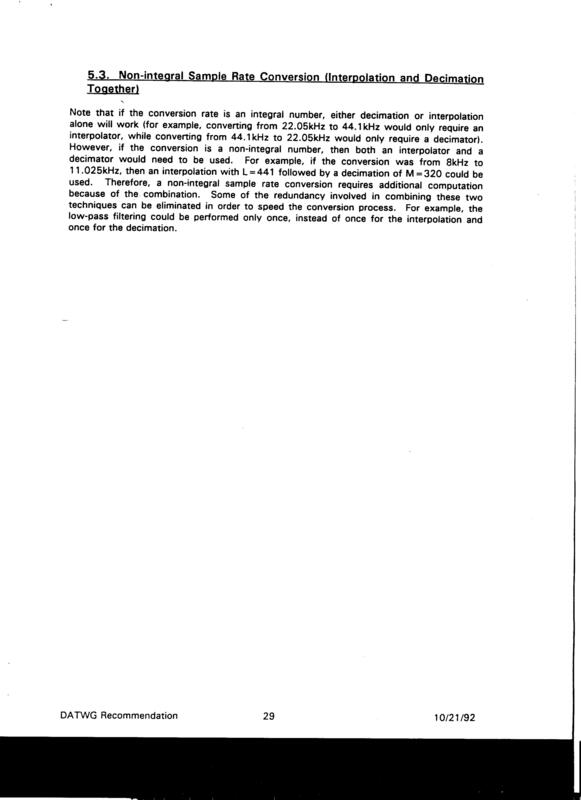 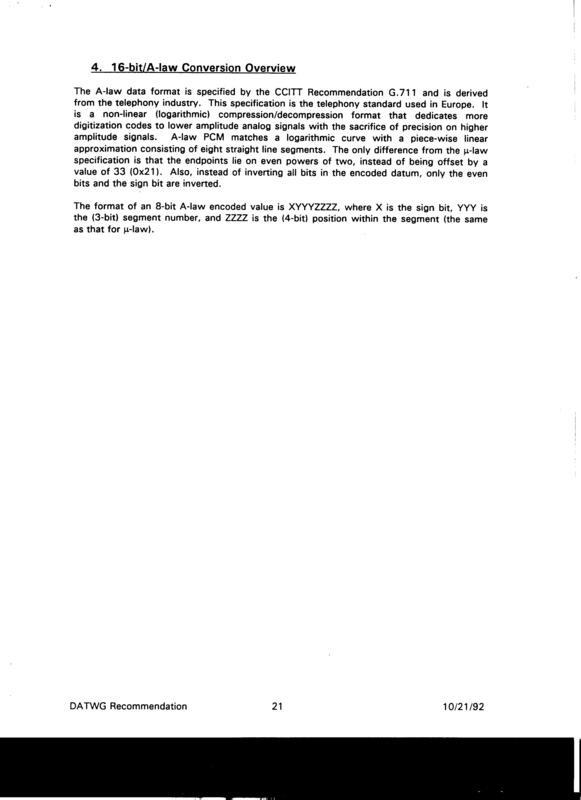 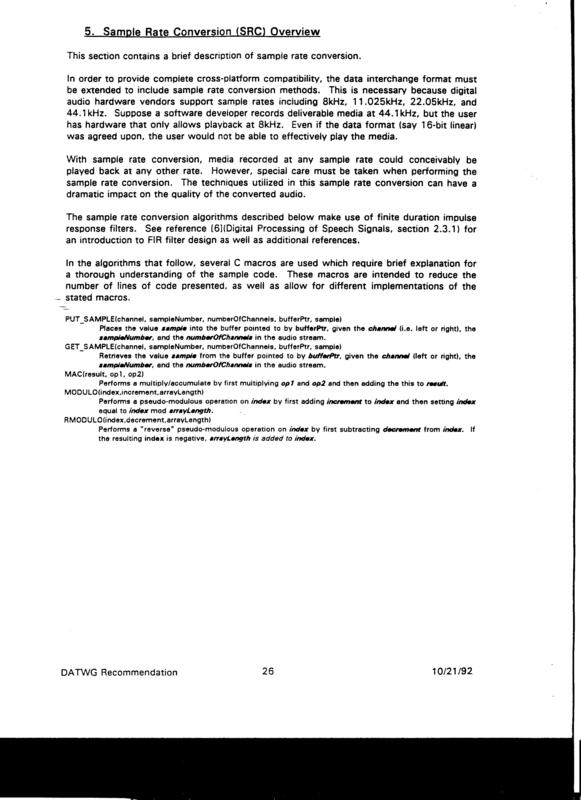 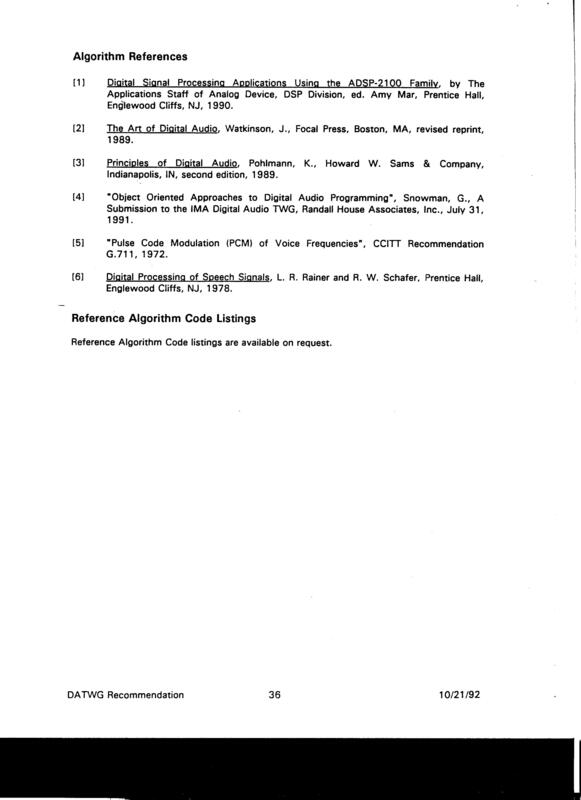 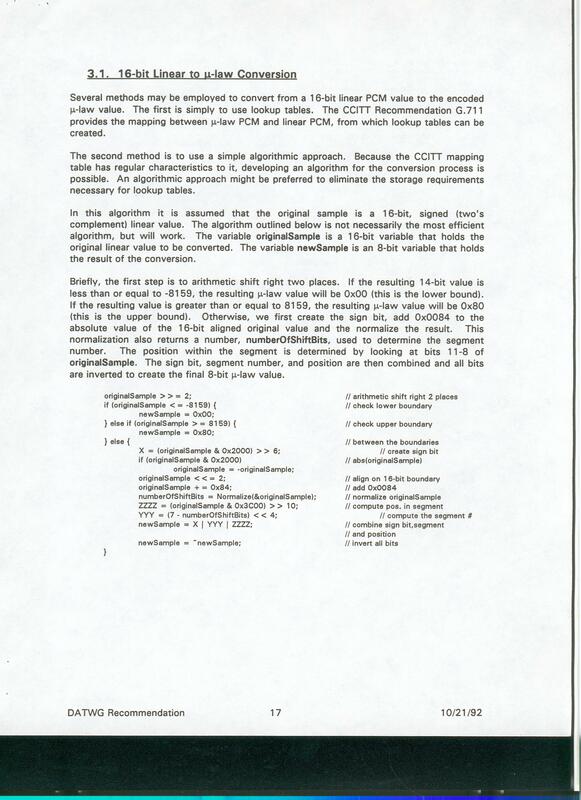 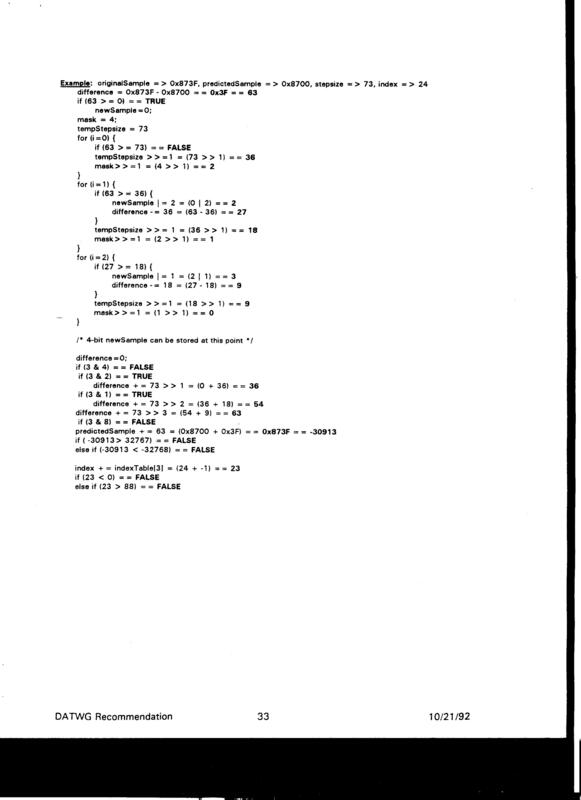 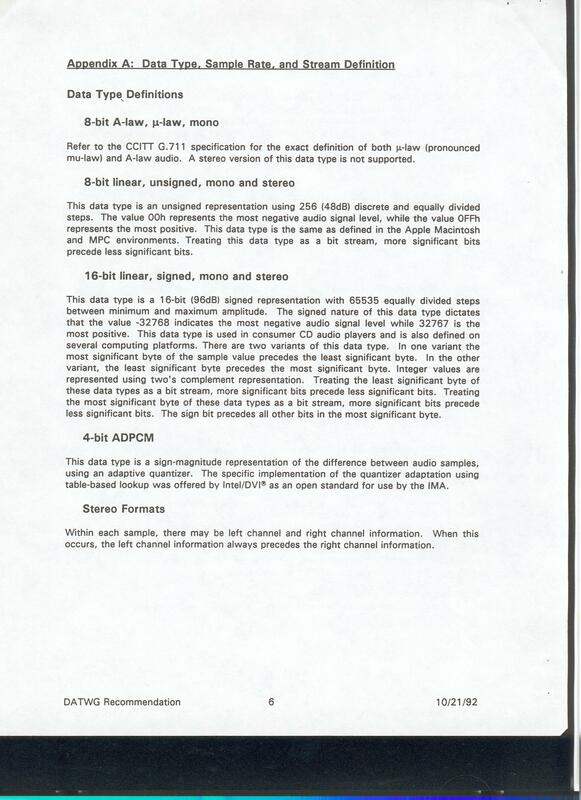 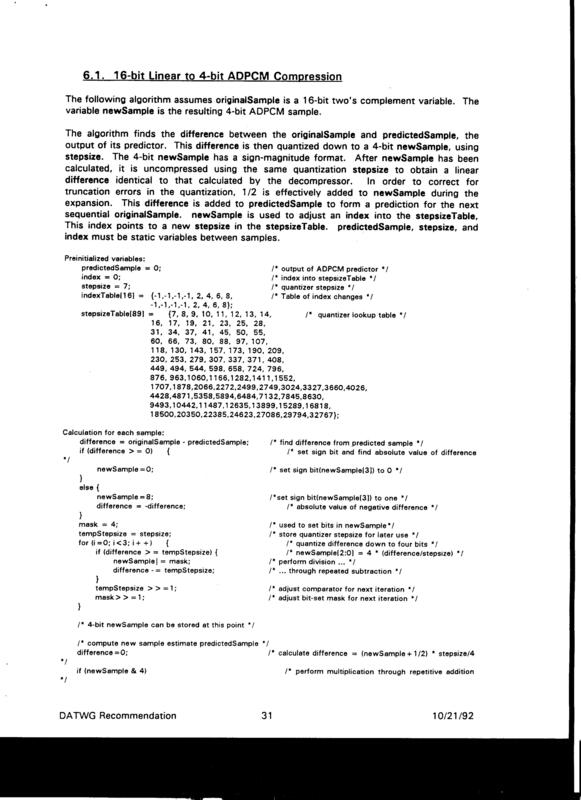 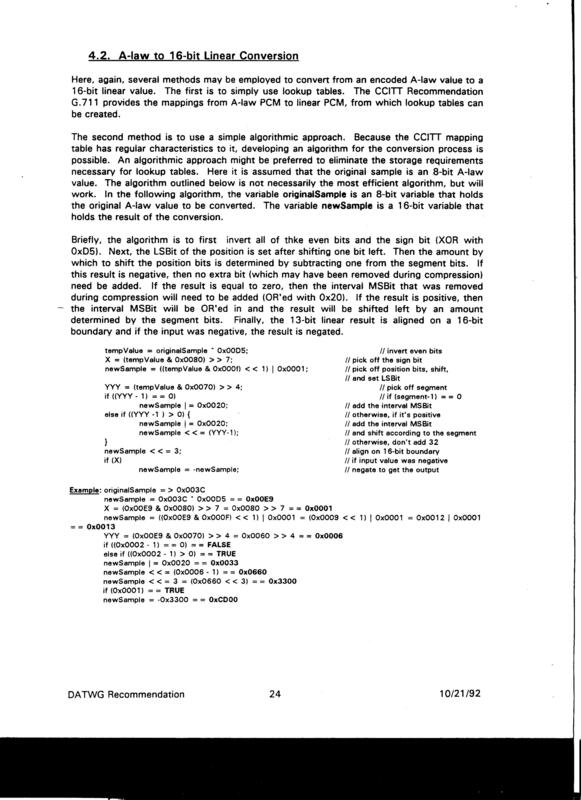 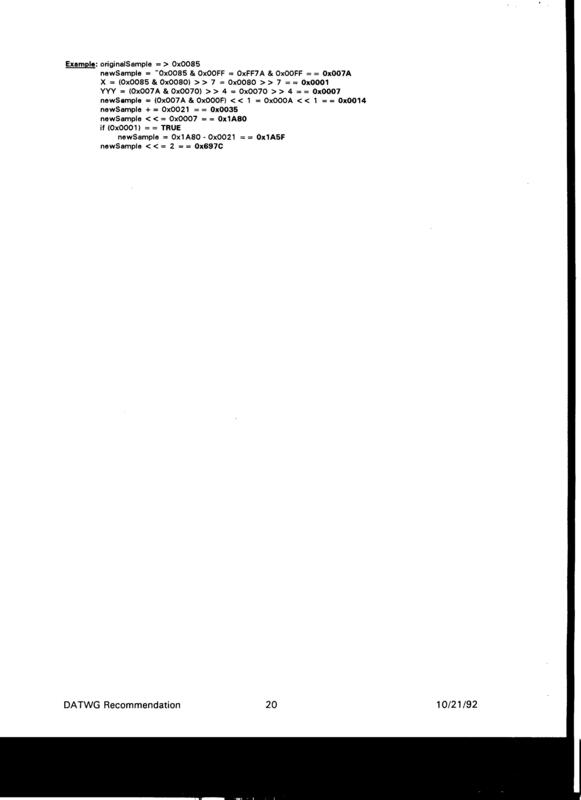 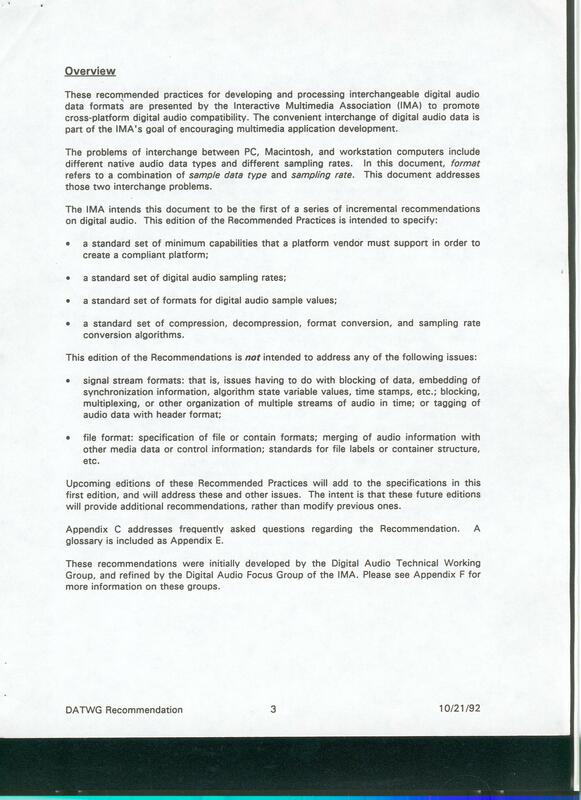 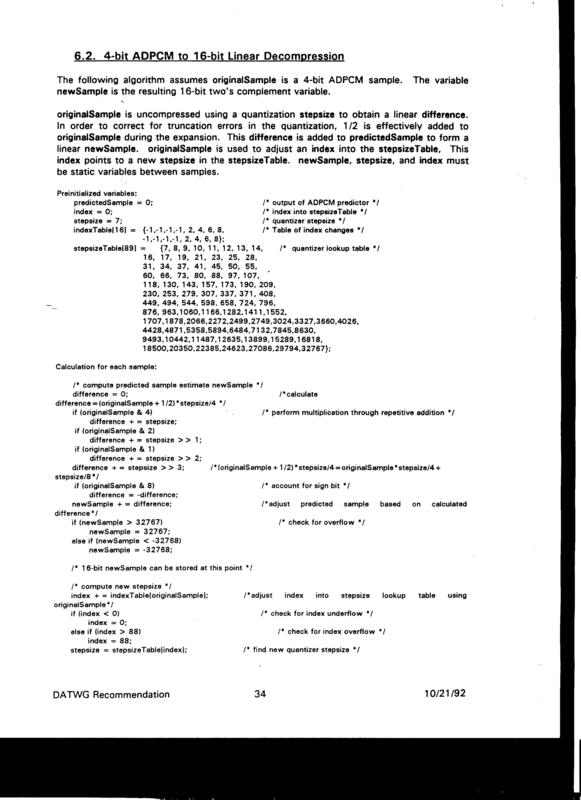 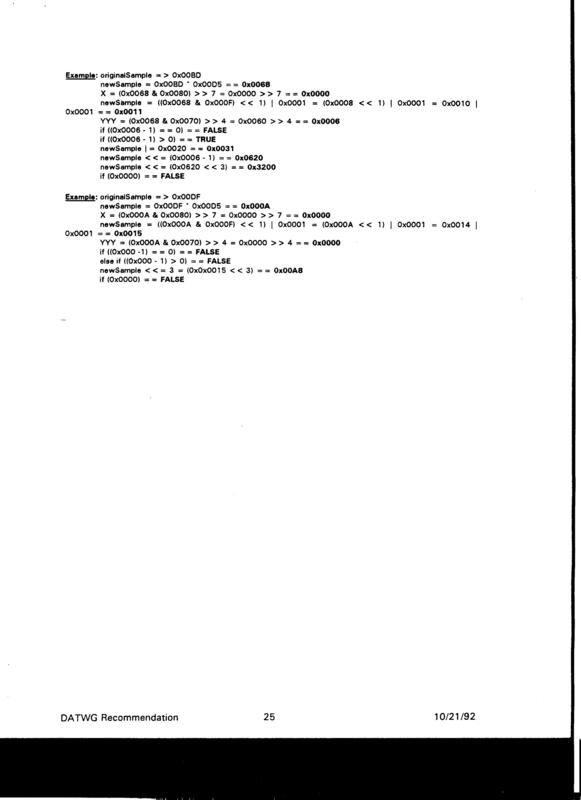 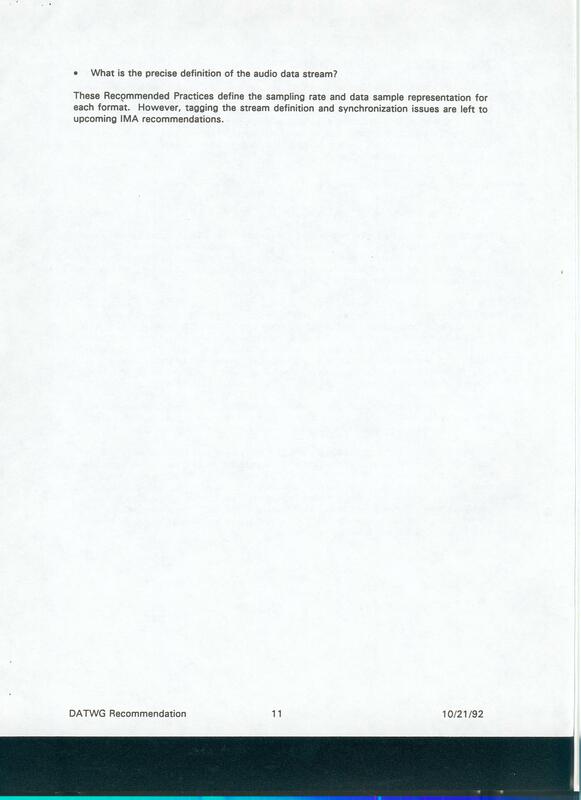 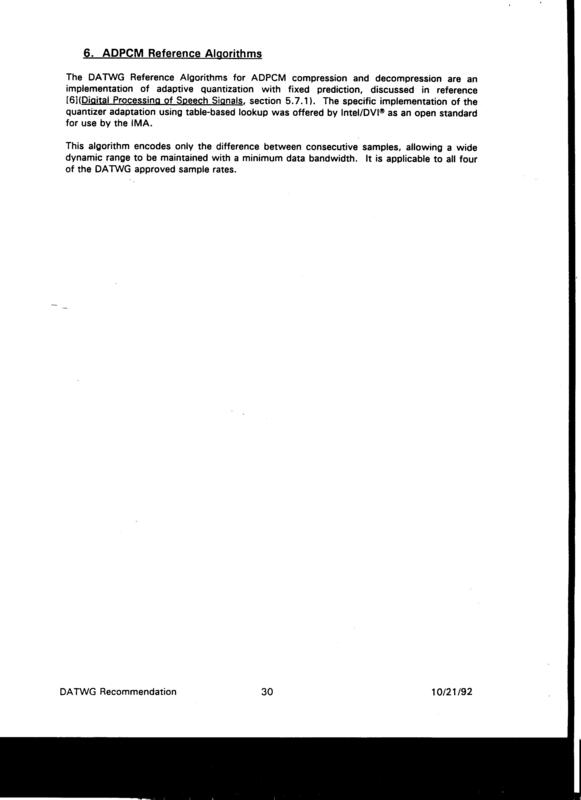 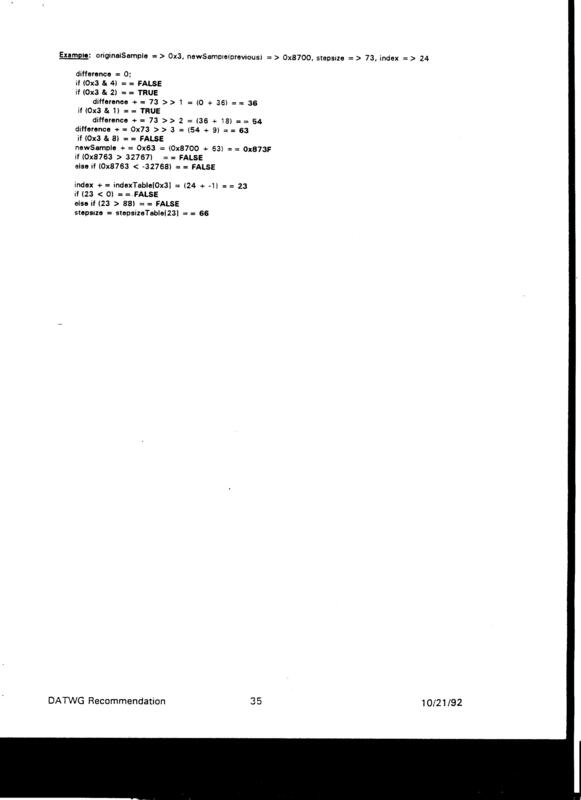 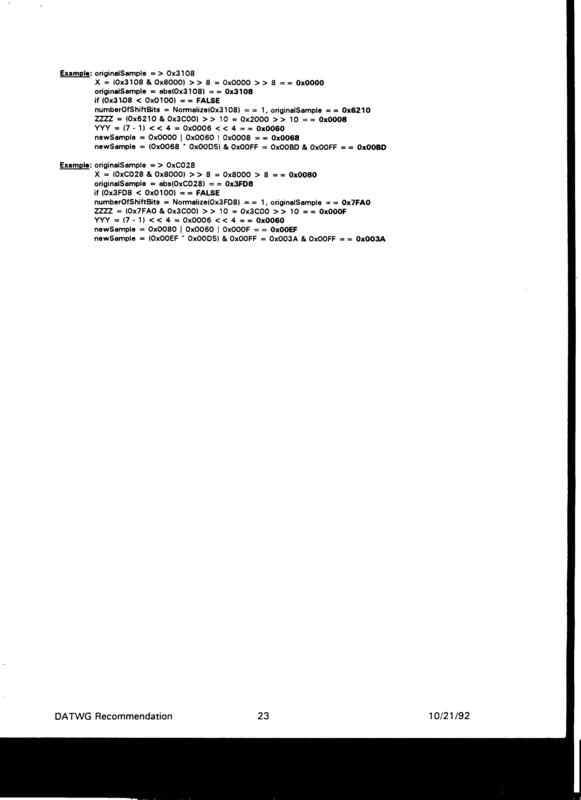 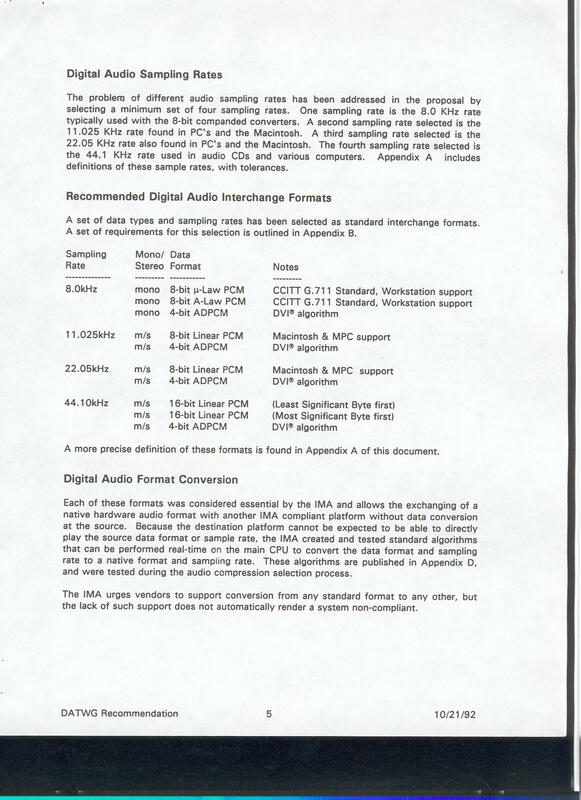 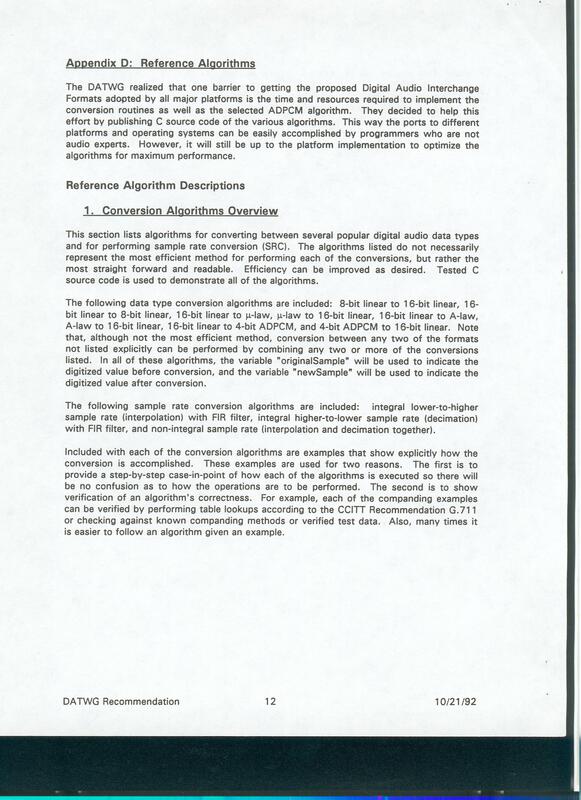 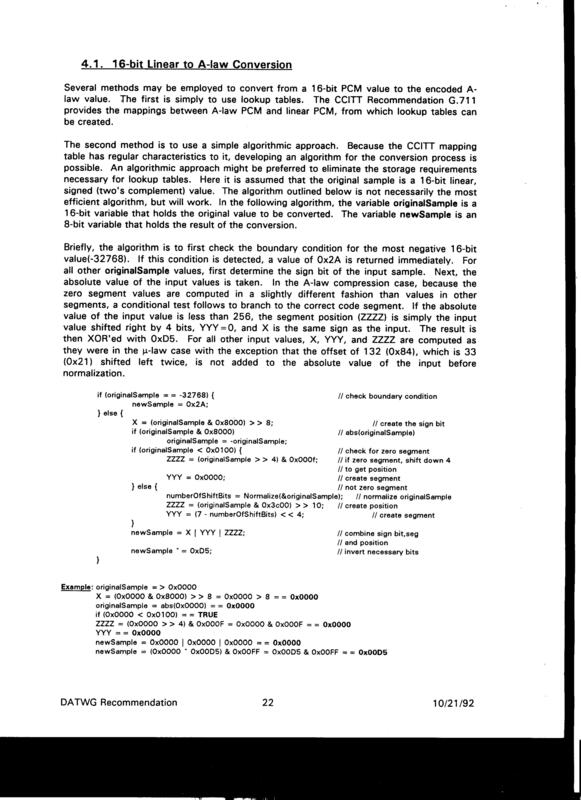 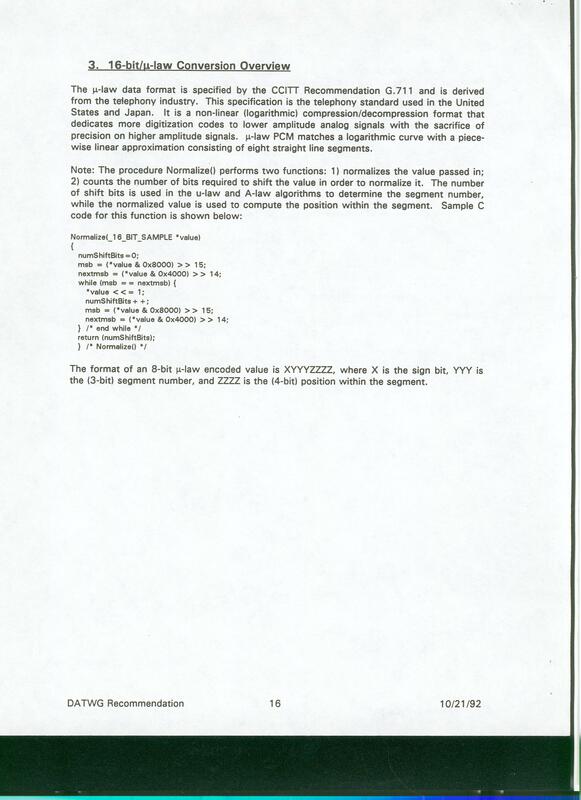 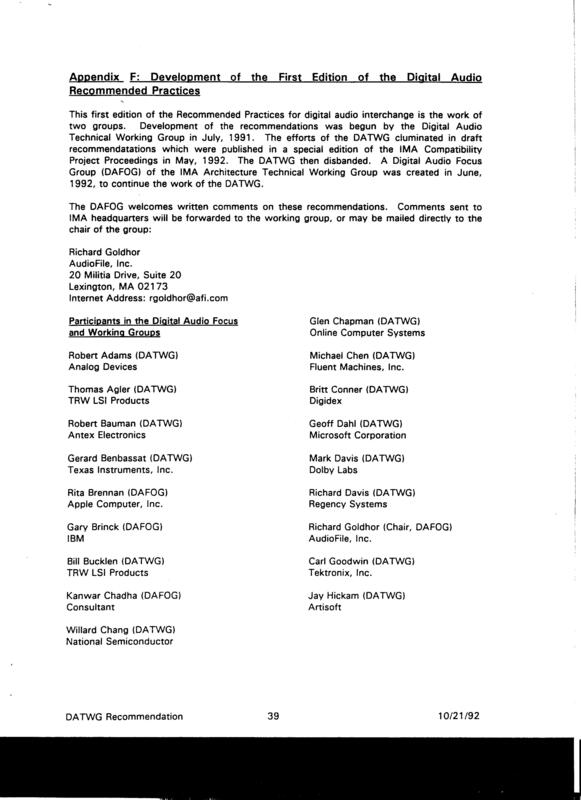 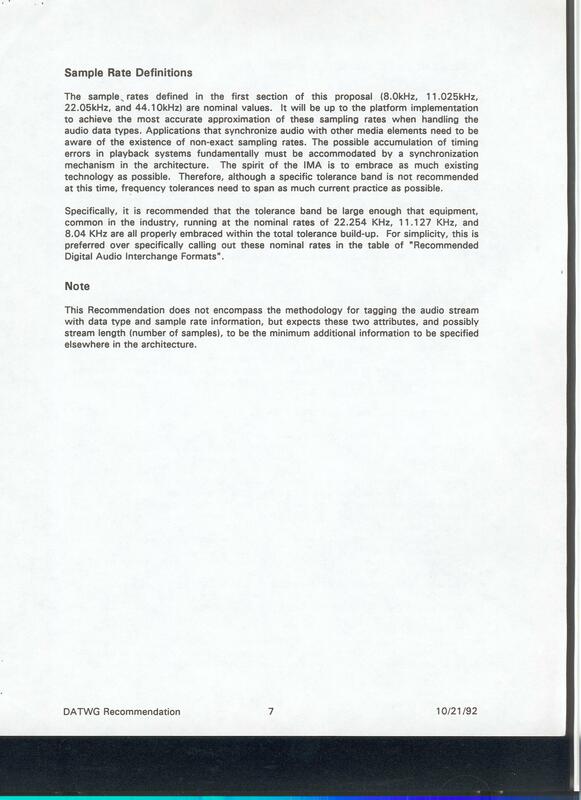 In the interest of preserving this information, a paper copy of the specification (Revision 3.0, dated October 21, 1992) was scanned in. 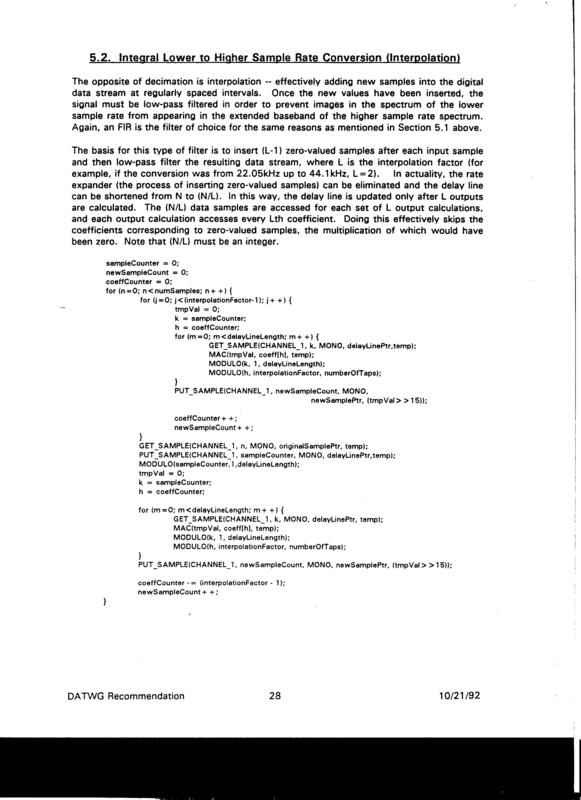 The images are below; in addition, Daniel Ford was kind enough to create a OCR version (Feb. 11, 2010).